December 6, 2013 August 4, 2017 / Julie Brook, Esq. Updated: Effective July 1, 2015, all California employers must provide paid sick leave to employees. Lab C §§245-249, 2810.5. Attorneys representing start-ups are presented with a wide-range of tasks to do. If you find yourself drafting a sick leave policy, keep these guidelines handy so you don’t miss any essential steps. California doesn’t require employers to provide paid or unpaid sick days, but certain cities have enacted municipal regulations requiring paid sick leave. For example, San Francisco law provides for accrual of 1 hour of paid sick leave for every 30 hours worked after a 90 day probationary period. San Francisco Admin Code, §§12W.1-12W.16. 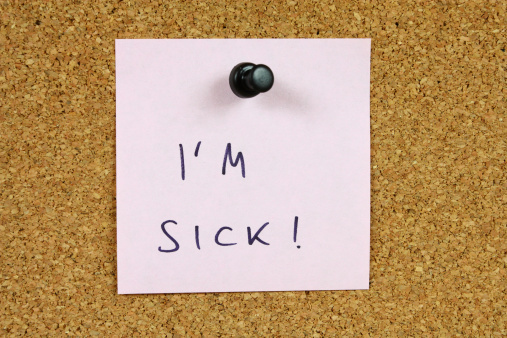 Because sick leave is generally not required by law, employers may establish their own conditions under which an employee may accrue and utilize sick leave. These conditions could cover eligibility, the amount of sick leave hours accrued each month, the minimum increment in which sick leave time may be utilized, how sick leave benefits are calculated, restrictions on use of sick leave, and when a medical verification is required. ___ Describe any eligibility requirements (e.g., full-time as compared to part-time employees, temporary employees, probationary employees). ___ Describe the rate at which sick leave accrues and state whether there’s a limit on how much time may be accrued. ___ State whether sick leave must be taken in specified increments (e.g., 4 hours or 1 day at a time). ___ If paid sick leave time won’t continue to accrue during a leave of absence, make this rule clear. ___ State whether the employer will pay an employee for accrued unused sick leave on termination of employment. ___ State how sick leave benefits are calculated (e.g., based on employee’s hourly base pay, excluding premiums and overtime compensation). ___ Describe any restrictions on use of sick leave (e.g., whether it may be used for personal emergencies or to attend a funeral (note that an employee’s right to use sick leave to care for an ill child, spouse, domestic partner, or parent is protected by law)). ___ Indicate any conditions under which the employer will require medical verification of the employee’s illness. ___ Indicate any conditions under which the employer will require a medical release when the employee returns from sick leave. ___ Describe how sick pay benefits will be coordinated with state disability benefits (see Un Ins C §2656). ___ Explain the circumstances in which paid sick leave may be substituted for unpaid leave under the California Family Rights Act (CFRA) (Govt C §12945.2), the federal Family and Medical Leave Act (FMLA) (29 USC §§2601-2654), and the California Pregnancy Disability Leave Act (Govt C §12945). Unlike vacation time or paid time off, sick leave that is available only when the employee or a family member is sick is ordinarily not considered wages and may be forfeited. Sick leave need not be paid for on termination, if its availability is contingent on the employee or family member being ill. But if the employer allows employees to use sick leave for personal business, sick leave must be treated like vacation and paid out when employment is terminated. Need guidance on sick leave and other types of time off? 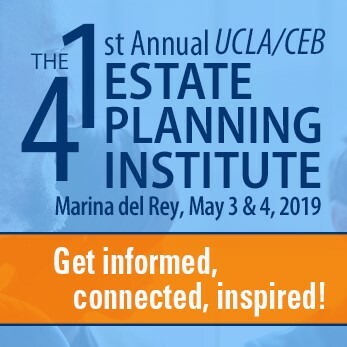 Turn to CEB’s Advising California Employers and Employees, chapter 6. CEB also has a sample sick leave policy in Drafting Employment Documents for California Employers §9.14 J. And for answers to all of your wage and hour questions, check out CEB’s award-winning book California Wage and Hour: Law and Litigation.